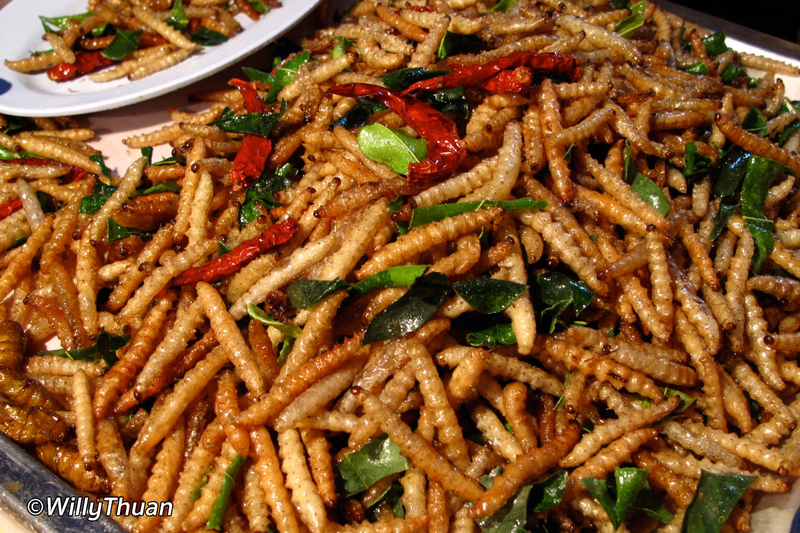 Where to Find Fried Insects in Phuket? 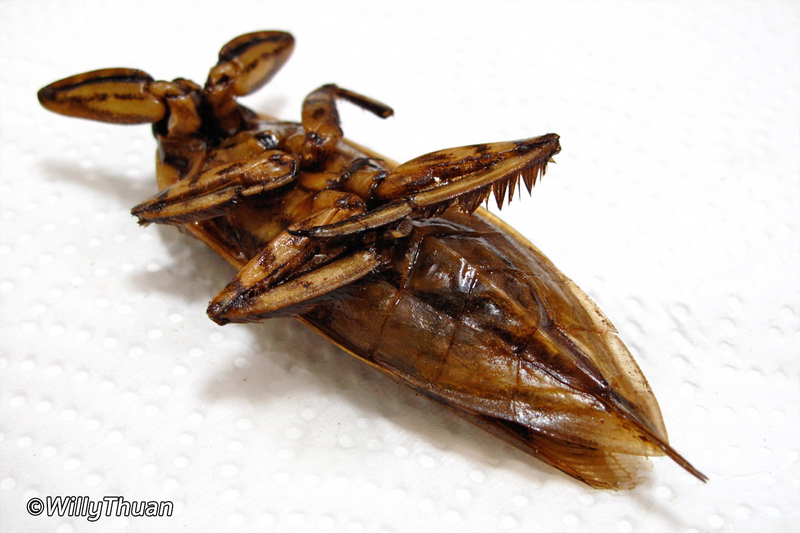 How many of you had a bite at one of these appetizing bugs sold on carts in the streets of Thailand? A few, I suppose. How many of you LIKED IT? less! 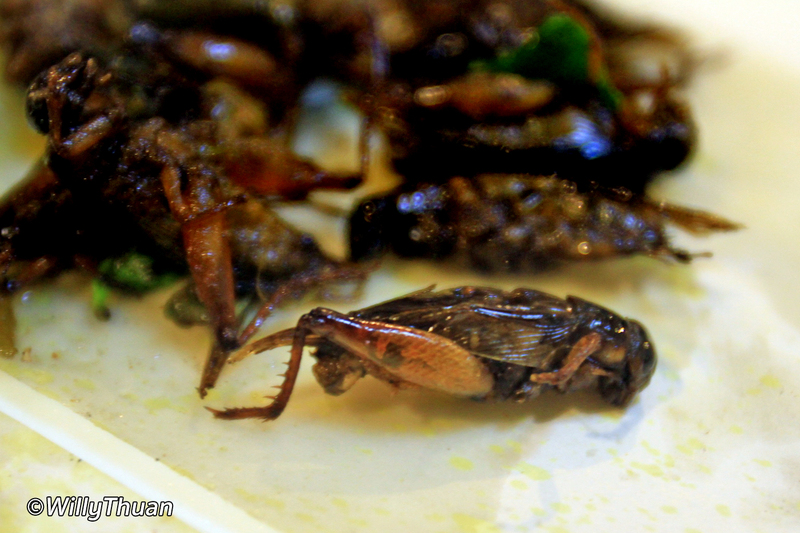 How many of you actually ENJOYED EATING BUGS? I only see one hand left! 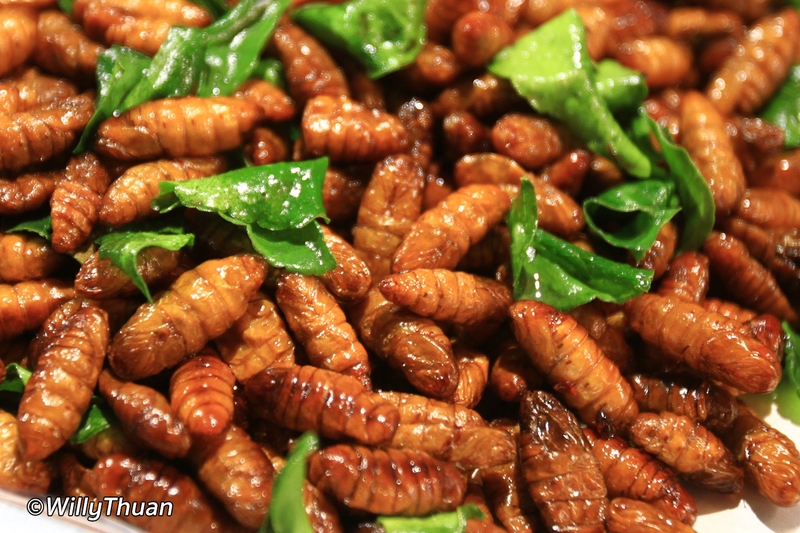 eating insects is all about culture and education. If you look at them objectively, many just look like brown shrimps, but our moms and instinct said : Shrimp = good, grasshopper = bad! 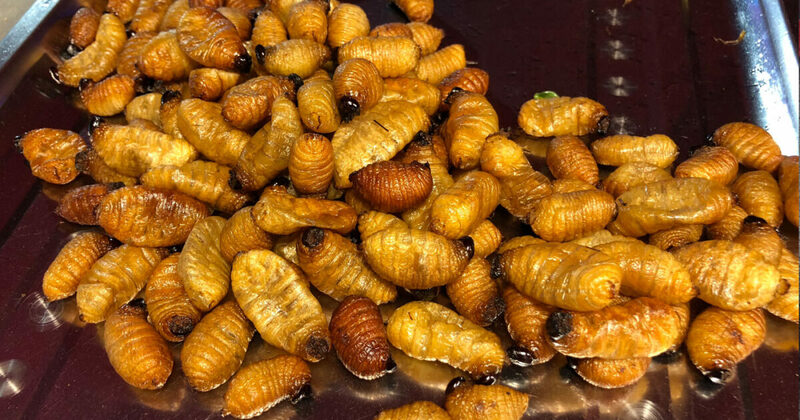 But it’s not like this everywhere, often related to economical hard times in history, people ate them first by necessity, then taboos start to fade and it’s by taste or just fun or fashion. To be honest with you, I don’t really like them all, but I tried them all!, so I hope you appreciate the sacrifice I made last night to write this story. 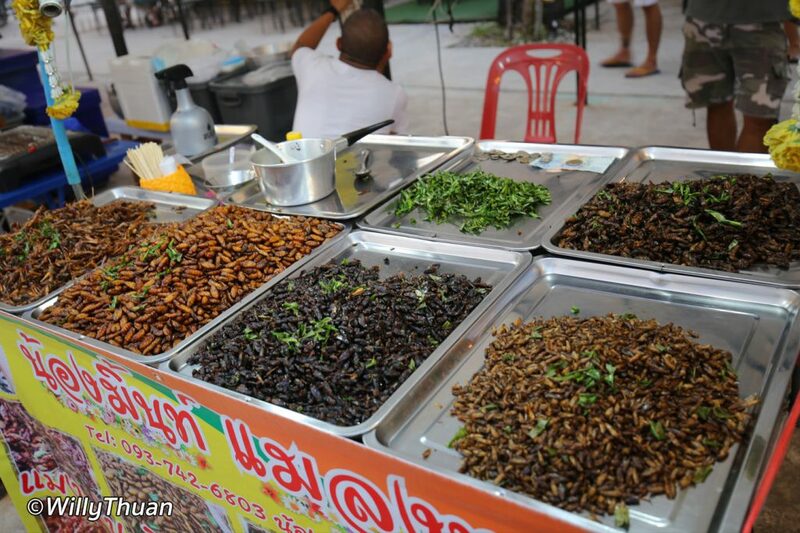 We went to a place in Phuket where we knew insects were always available and bought 20 baht of each and drove back home. I wrote my will, kiss my wife and dog goodbye, just in case and displayed the content in front of me. And them I picked the smallest one… surprise! it’s almost as bad I as thought it would be! Well, not all of them, so I let you read the details below. 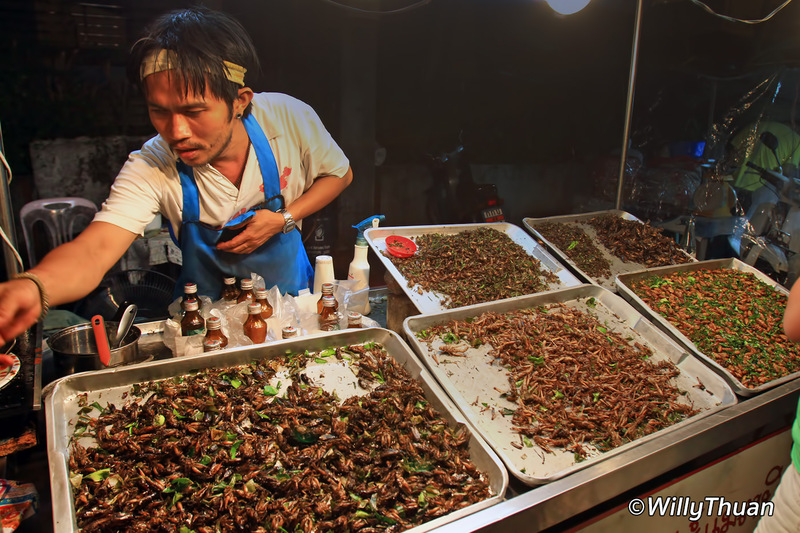 The biggest, weirdest, scariest with the strongest taste of all fried insects found in Phuket. ☆ Taste: Like bubble gum! ✎ Which drink: Tequila shots… make it 2! 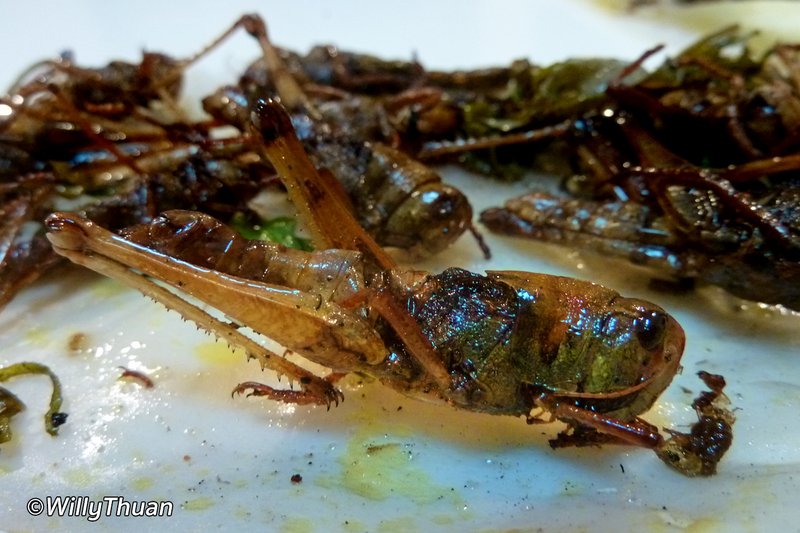 Big fat and shiny, fried with Kafir leaves, this is a popular snack. Always popular because of its friendly recognizable shape that makes it look like a shrimp, it is actually the easiest to try as it looks ‘dry’. ☆ Taste: Medium to strong taste with a bitter after taste like an old green tea. Looks familiar to everyone. As it’s a bit plump you can expect it to have some fatty inside. ☆ Taste: Medium at first then a bit bitter… like soap. 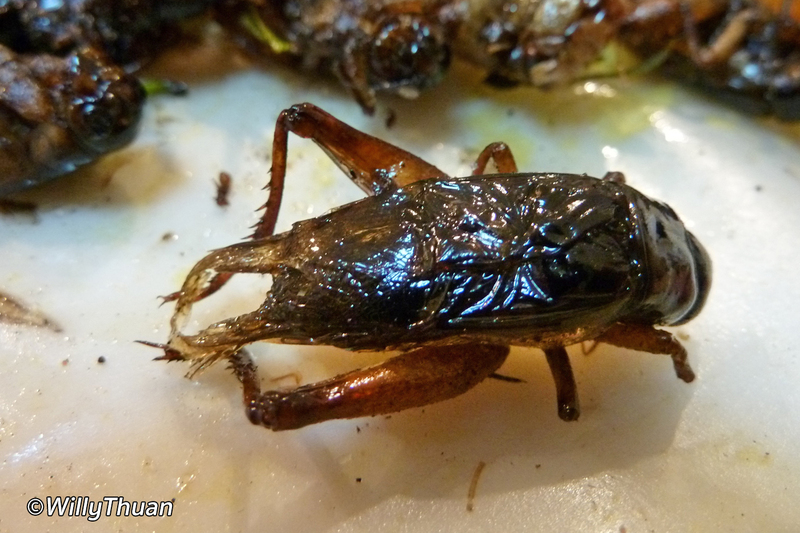 Almost same as the above crickets, but less scary to bite as the inside is not going to pop in your mouth. ☆ Taste: Very light, mostly Kafir taste and oil. ✎ Which drink? : Chardonay or Beer! Maybe the easiest to eat because popular because its tiny size is not intimidating. 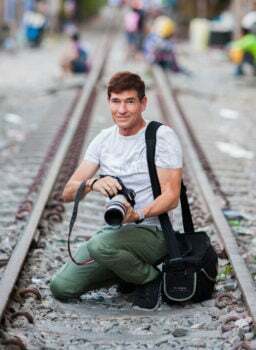 Probably the most popular among Thai, can be found easily. ☆ Taste: Salty at first, then comes a cheesy after taste. ✎ Which drink? : Sauternes or Beer! 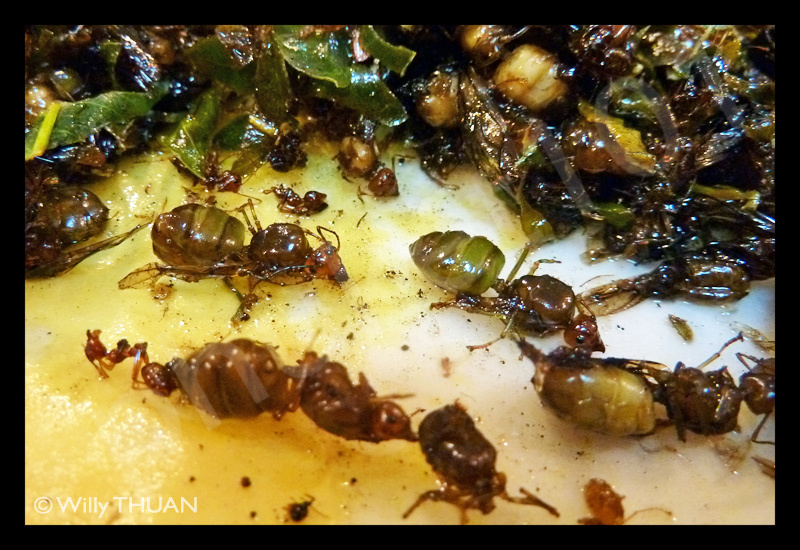 Comes as a salad and actually looks like white ants, much bigger than the ants we are familiar with. 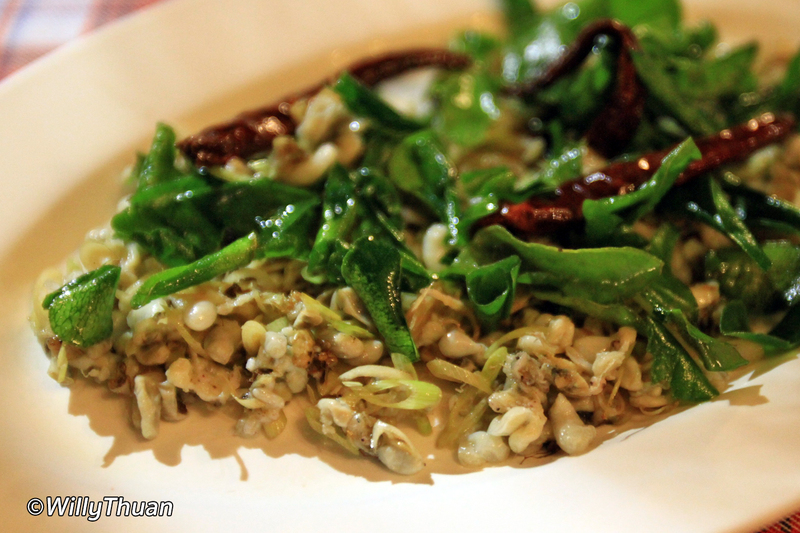 Can be found at Tung Tong Restaurant in Kathu. This one actually happens to be very good deep fried, but is not easy to find. 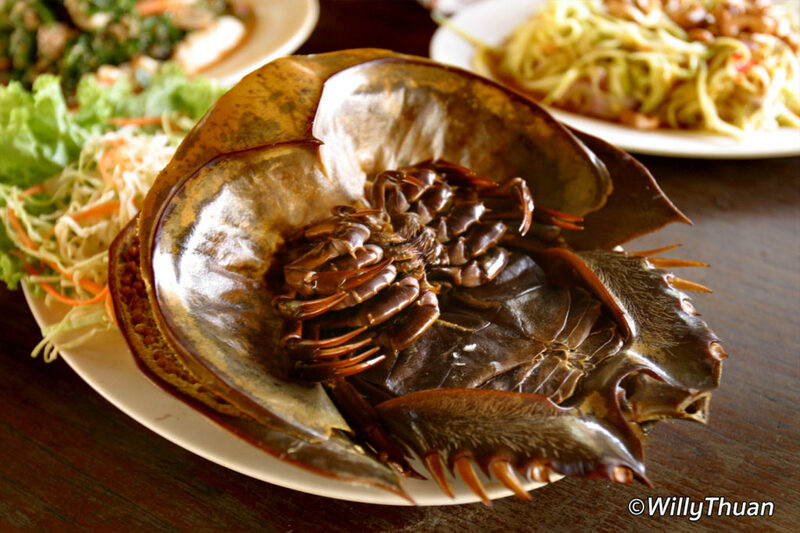 One good place is Thanoon Seafood. 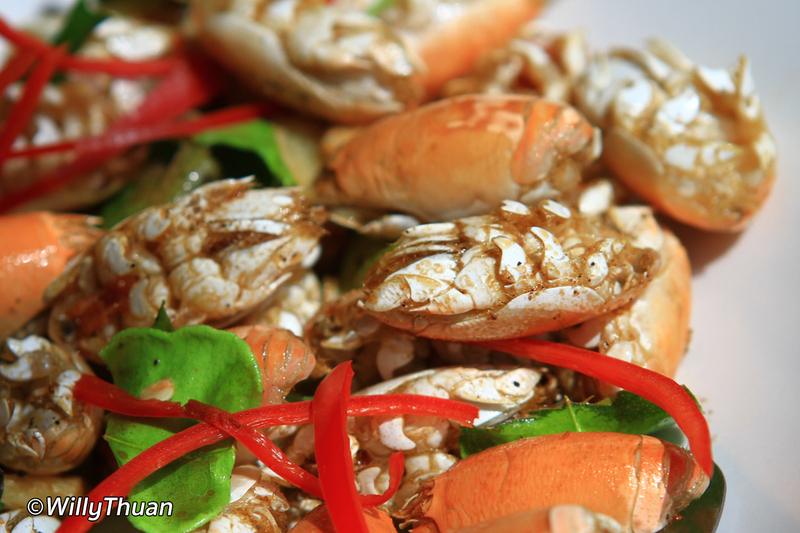 ☆ Taste: Light and salty and similar to shrimp with a subtle difference. Most of them can be found in those occasional village fun fairs. 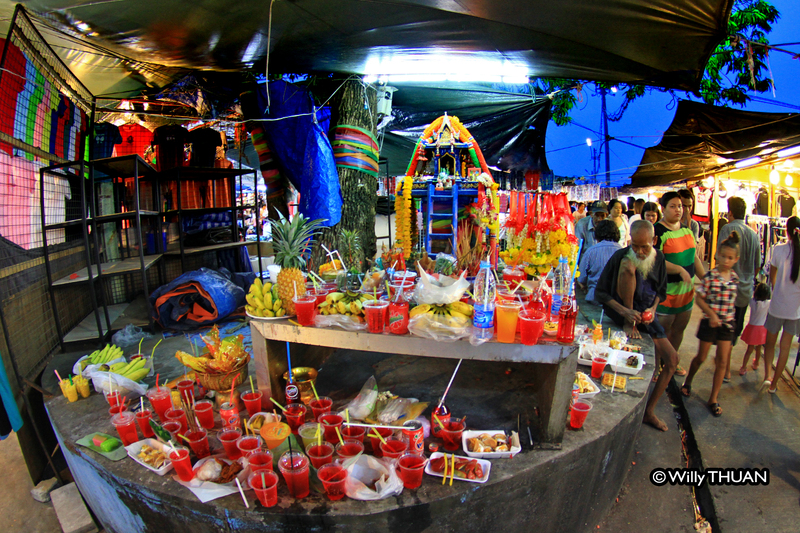 #2 to #6 can be purchased from khun Burm, one of the popular food carts open every evening at Sapan Hin Circle in Phuket Town for the modest some of 20 Baht per small bag, each of which contains more than you need.